What is Upper Cervical Care (also known as “Orthospinology”)? Orthospinology (aka Upper Cervical) is a gentle chiropractic technique and analysis system that restores the body’s natural ability to achieve optimal health, reduce pain and ease chronic health problems. What’s the Difference Between Upper Cervical Chiropractic Care vs Regular Chiropractic Care? Upper cervical care does not require any twisting or popping to manipulate the spine. An upper cervical chiropractor focuses on the health of the neck vertebrae knowing the rest of the spine will follow suit when the top two are in working order. The brain is the control center of the body. It controls and regulates trillions of cells of your body. Directly below the brain is the brainstem. The beating of your heart, your breathing, digestion and even your immune system are under the control of the brainstem. The upper two cervical vertebra in the neck surround and protect this vital part of our nervous system. The anatomy of this region of the spine is unique in many ways. 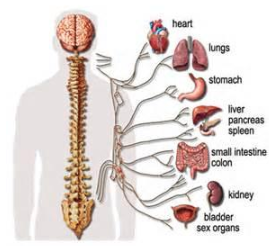 There are only two vertebrae in the spine with names. The first and uppermost vertebrae C1 is called the Atlas, because in Greek Mythology, Atlas held the world up or in our case our 8-12 lb. head. C2 or the second cervical vertebrae is called the axis because it acts as the axis of rotation for your head and most of your neck. These two vertebrae are the only two vertebrae between which there is NO DISC. The absence of the intervertebral disc allows for a greater range of motion. Because of this increased range of motion, these segments are much more likely to misalign, causing nervous system interference at the level of the brain stem. When these two bones get out of alignment, the innate healing power coming from our brain flowing down our spinal cord is interrupted. At that point the trillions of cells of our body are not getting vital nerve control resulting in a cascade of adverse physiological conditions. Benefits of Upper Cervical Care What is Upper Cervical Care (also known as “Orthospinology”)? Dr. Wendee Whitehead D.C. and our staff have advanced training in Orthospinology. Dr. Whitehead and Dr. Kretsinger are dedicated to achieving the most cutting edge techniques in upper cervical care. Dr. Wendee Whitehead D.C. has studied Orthospinology extensively and is a Board Certified Orthospinologist. “I became interested in Orthospinology from personal experience, I was having severe neck pain, carpal tunnel and plantar fasciitis, I was sleeping in braces on my hands and feet and getting out of bed was excruciating. I was adjusted by a colleague who does Orthospinology and immediately my neck pain, plantar fasciitis and carpal tunnel was relieved.” My life was changed forever due to this experience. It felt like a miracle! As a result I want to pass these miracles on to my patients. It brings me great joy to help those who are suffering. I believe that Orthospinology is one of the most powerful healing techniques I have experienced. If you are interested in learning how Orthospinology can help restore your life, please schedule for a complimentary consultation. Contact our office at 512-451-0115 to schedule an appointment! 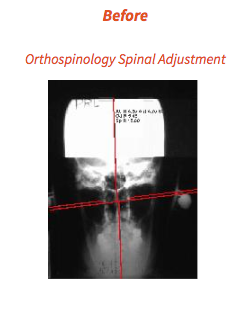 What Causes Misalignment of the Upper Cervical Spine? As a result of the upper cervical spine being the most mobile joint of the spine, traumatic forces such as auto accidents, falls, traumas, poor posture, cell phone use and even child birth can easily misalign the upper cervical spine. How can you tell if I have Brainstem pressure from upper cervical misalignment? There are several ways to identify brainstem pressure. 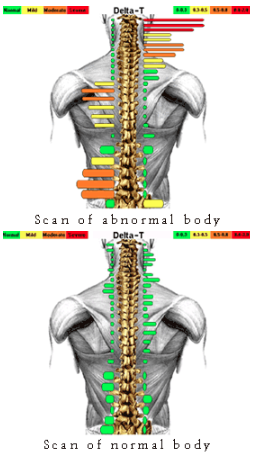 This nervous system interference can be detected through the use of Computed Infrared Thermography. Thermography has been used for thousands of years to diagnose the sick. In modern times new medical breakthroughs have allowed us to further understand the link between thermal imbalances and nervous system dysfunction. For this reason we utilize thermographic scans both pre- and post-adjustment. It is of absolute importance that the patient understands that results do not come from the adjustments themselves, but rather from the patient achieving a healthy and fully functioning nervous system. Misaligned vertebrae cause tightening of the muscles in the cervical spine that can be palpated by a trained upper cervical practitioner. Pressure on your brainstem causes one side of your body to be contracted resulting in a short leg on that side. The most precise leg checks utilize a bowing shoe because they have a stripe for accuracy. 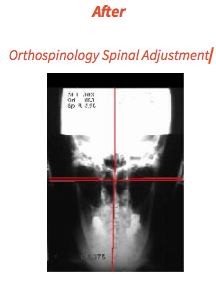 The misaligned segments are identified through the use of Digital Laser-aligned Radiography. Precision and accuracy to the millimeter assures optimum alignment of your spine to its normal position relieving pressure off your brainstem. The x-ray images are analyzed by the doctor to determine the three-dimensional displacement of the upper cervical vertebrae. Special x-ray filters reduce x-ray exposure. Upper Cervical Care has helped celebrities including Montel Williams with MS and Jim McMahon with brain fog. Montel Williams was diagnosed with MS in 1999. Since then, he’s tried a variety of treatments to combat his disease, including chiropractic care. According to the former talk show host, the results were positive. Williams claims that his pain is severe and unrelenting, yet with chiropractic care he says, “I am walking differently. My pain is less; I have already regained strength in my left leg. My left leg has dropped because I found out that my pelvis was tilted, it’s dropped back down, they are now the same length; it’s the most amazing thing that has ever happened to me.” For McMahon, his miracle story came about after a visit to New York upper cervical chiropractor Dr. Scott Rosa. After a specialized scan in the FONAR Upright MRI, Jim was found to have significant misalignment at the base of his skull causing obstruction to the flow of his spinal fluid. McMahon received Rosa’s patented I.G.A.T. (Image Guided Atlas Treatment) which, Jim says literally saved his life.